Ⅰ.Manual Mode,the Standby Can Adjust the Time but Speed Not,and Default Time Is 10 Minutes,Max 20 Minutes;When Operating,Speed Adjustable, Levels From 01 to 99,But Time Not. Ⅱ.Auto Mode,LED Shows P1,P2,P3,P4.These Modes Will Run at A Certain Rhythm.Time and Speed Cannot Be Adjusted,Exercise Time Is 10 Minutes. 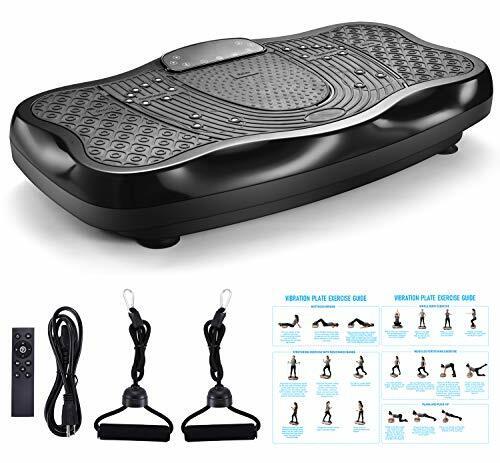 Easy to use--Auto mode and manual mode is available, the vibration speed can be adjusted from 1 to 99 levels to meet different intensity training. Multi-function LCD screen--You can operate the machine by touching the screen, also you can use the remote control to operate the machine.The screen can show vibration time and speed.